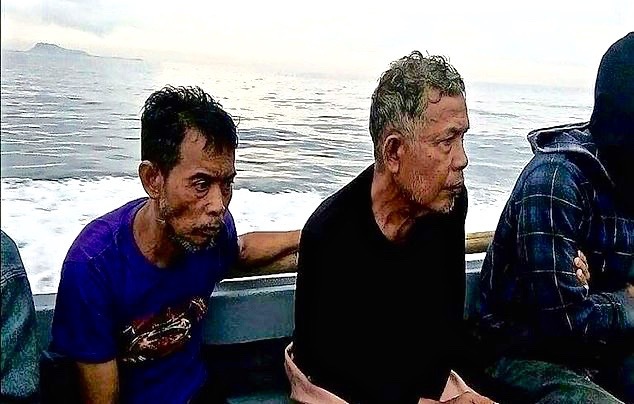 Abu Sayyaf militants abducted two crew members from a cargo ship today (Thursday, March 23) just hours after soldiers rescued two Malaysian hostages from their clutches. The vessel was on its way to General Santos City from the central Philippines when gunmen in three speed boats ambushed it, a coastguard commander said. Lieutenant-Commander Alvin Dagalea said: “Two Filipino crew, the ship’s captain and chief engineer, were taken captive. Shortly before the abduction, government troops rescued two Malaysian captives in waters off Pata island, in the Sulu archipelago. They have been identified as Tayudin Anjut, aged 45, and Abdul Rahim Bin Summas, 62. The two, who were among five Malaysian tugboat crew seized in July last year were said to be weak and in poor health after their eight-month ordeal. As we recently rerported, Defence Secretary Delfin Lorenzana has described Abu Sayyaf’s kidnappings as a “national embarrassment”, saying the number of hostages had increased from 18 to 31 since Duterte came to power. Maritime security officials have warned that the region is in danger of a “Somalia-type” situation unless action is taken to curtail Abu Sayyaf’s piracy. In January, the International Maritime Bureau said the number of maritime kidnappings hit a 10-year high in 2016, with waters off the southern Philippines becoming increasingly dangerous. Abu Sayyaf, established with seed money from Al-Qaeda in 1991 and now allied to the Islamic State, are currently holding 23 foreigners and eight Filipinos. They include Malaysian, Indonesian and Vietnamese captives as well as a Dutch birdwatcher abducted in 2012. Last month the group beheaded Jurgen Kantner, a German yachtsman abducted last year, after failing to extort ransom for his life. If ever i was in that situation of about to be kidnapped , being a westerner i would fight on the spot even to the point i would die. I’m fucked if i would spend six months being held only to lose my head.It would also save the family having to pay out with no guarantee that i would be released.The torment families go through waiting of news, only for it to end sadly. But i must agree the progress being made is laughable , they kill a few by which time they have recruited twenty more.The whole circus is big business and many people have their fingers in the pie. The Philippines Army is weak. They can’t beat a few hundred criminals.